What’s up guys. Name is Arturo. Just bought a 91 240 couple hours ago. Been lurking but can’t see pictures so I finally registered. Based in dallas tx so hit me up if you want to chill or hang. Currently work in construction (in the office) but going to school at night. Been wrenching since I was a kid with my pops but finally got a project of my own to keep. Hey guys, joining up because I have two friends with 240s. Both are red early 90s hatches, 1 of which with the ka24de and the other with a Lexus 1uz Fe swap. Just driving up here to get some information, and learn what I can from you veterans. I look forward to speaking with all of you. What's up everyone? My name is Vince and I live in the Bay Area. I decided to join these forums because I'm trying to sell my car. I've owned my 1998 240sx since 2002. I know someone on these forums will want her and transform her to something great. Thanks all. Hi, I have been a member of this forum for nearly two just to look through the threads, but I cannot recall whether I have introduced myself or not. 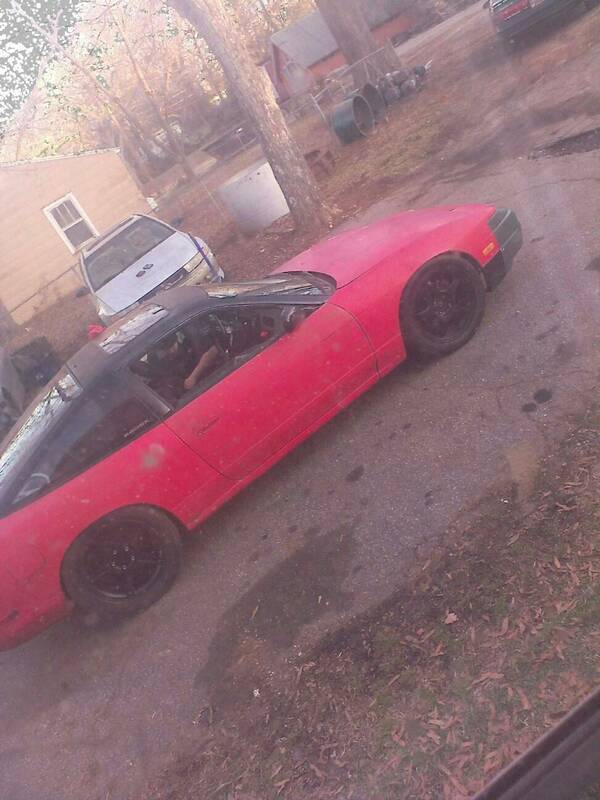 Right now, there's a 1990 240SX sitting in my mom's garage waiting for either my brother or myself to take it over. When it was running, the engine was fine but the automatic transmission was going according to my cousin who used to own the vehicle, so it hasn't been driven for well over 10 years. I currently drive a 2017 WRX Prem. M6, and while I am thoroughly enjoying the vehicle being stock, my 3 years 36 mi. warranty can't come soon enough! In the meantime, the 240 is located in Southern Maryland while I am up here in the Greater Philadelphia region. Can anyone suggest any nearby shops that could help with a transmission/engineer swap/rebuild? I would be interested in talking to someone about the process as I read through the information that this forum has to offer. Do shops typically offer a close relationship between customer and the cars they are commissioned to swap/rebuild? Hello hello! New to the forum. My name is Nelson and I have a 92 nissan 240sx fastback. Right now my car is pretty much stock and just replacing parts that are showing its age and worn down. Hello! My name is Curtis. I have just become the proud owner of a 1992 240sx hatch manual. The previous owner had just finished up with a rebuild of the ka24de. The car is currently not running but I have been troubleshooting for the past few days. The interior was completely stripped beside the dash and drivers seat. I'm excited to finally have car to work on other than my daily driver. I've joined this community to help with any issues and to point me in the right direction with this build. Hey all, just going through the new member process. I own a 1996 Zenki 240SX SE. Looking to get into drifting here shortly. Joined the forum to get maintenance tips and other help. Helloo. New to this forum. Ive had 240s for a long time. And recently got a seafoam 2 tone silvia from japan. Nick_240sx, RikRong and tunabossftw like this. Hello, new to the forum, from So CA. Just acquired a 93 S13 hatch with my 17 yr old son as a project. 19 year old son has a 91 S13 that we've been working on for the past 2 years. I joined not too long ago. I love the Nissan world and spend some time thinking about cars everyday. I don't have a 240 but have a Versa. I got friends with 350's and 240's anyway and enjoy spending time wrenching. Hey guys, joined almost a year ago and just wanted to stop lurking and maybe share some of the knowledge I gained doing my RB swap. 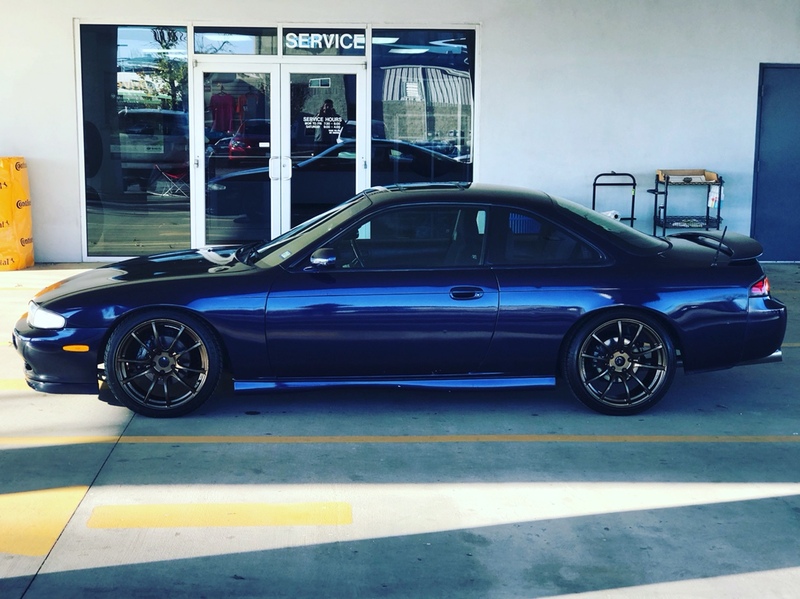 Sup to all, newbie here, got a 96 Zenki, from Miami, fl, little Havana area. Just recently bought a 1990 240sx 5 speed ka24e. Plenty of rust! Hey everyone! 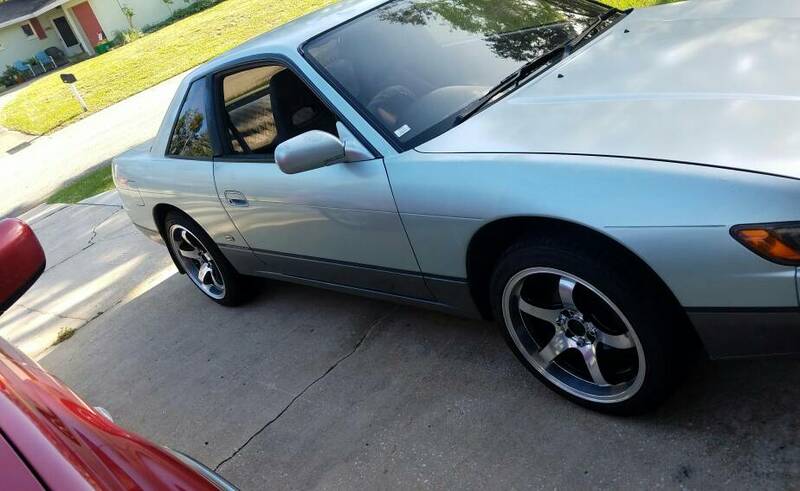 My names Trevor and recently purchased a 89' 240sx Hatchback and am excited to get into all the 240 hype. Will be building it from the ground up as my new project car. Hey, everyone! I'm the proud owner of a 1990 240SX, which I picked up a few years back. I've learned a lot about maintenance and repair since owning it, and it's been fun - mostly! So I’m new to this forum. Trying to get more familiarized with different forums so I can have more contacts on parts/cars. Hi everyone! Im from Central PA. I've had my 240 for 12 years now. Many changes throughout the years. Converting to RHD over the winter. when i can post my own thread i'll start my continued build thread.. The car is apart and a shell now awaiting the Clip to arrive this weekend. Hey Guys Joined not too long ago looking for a new s13 or 14 to start my first s chassis!! Cant wait to start a new build and learn the ins and outs of the s chassis!! Hey all, Spencer here from Vancouver, Canada. Looking at picking up a 240sx s14 in the next year or so. Will be setting it up as a daily driver, aside from the winter, that also will double as a simple drift car for the track days. A little tight on the budget right now and would prefer not to take a loan out of the bank, therefore no s14 unless a golden, perfect one pops up nearby. looking forward to talking and learning with all of you. Last edited by tunabossftw; 10-30-2018 at 12:40 AM. Reason: Wanted to add a little more. Came across after searching a few less active 240 forums, I've migrated here! have a 92 RB20 swapped s13 hatch/ R32 GTR / built SR20 s13 hatch chassis(non running parts car. missing ecu/harness/will post soon!) . I'm here to buy your JDM goodies and expand my 240 knowledge. New member seeking knowledge on my project. 1995 S14 Zenki w/ SR20DET Blacktop swap. Hey y’all i just joined, I actually don’t have a 240sx but my bf does and I figured joining the forums would make navigating it a little easier, plus easier to find parts haha. He has a 92 S13 coupe that’s one of the main projects rn and an S13 hatch that’s going to be a project later on. The coupe has a CA18DET swap we’re trying to get running rn but having a few issues with, it’s very close tho.